Stem cells are one of the most important medical discoveries in the past century. The potential for treatment or even cures for previously untreatable conditions may all be within reach, thanks to stem cells. As a research tool and medical treatment, stem cells have been controversial since they were first discovered in the 1980s. A “stem cell” is named for its ability to specialize into other types of cells. Once specialized, the stem cell can replicate to heal or develop into – theoretically – every kind of tissue in the body. 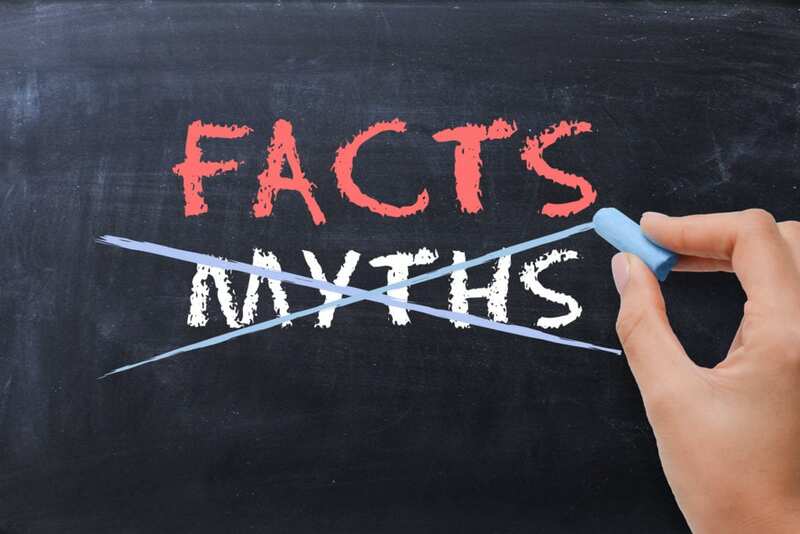 MYTH: Stem cells are only found in embryos. FACT: Stem cells are found throughout the body of every living thing regardless of age, excluding single-cell organisms. The first stem cells derived from humans were from a developing embryo, but science has leapt far past that. Stem cells from embryos have unique properties of pluripotency, meaning they are able to differentiate and divide into any other cell in the body. Adult (or multipotent) stem cells appear to lie dormant throughout the body, and they can specialize and replicate into helpful cells when needed for healing adjacent tissues or organs. Adult stem cells lack the versatility of pluripotent stem cells, but they do offer therapeutic opportunities in healing tendons and joints, among other things. Embryonic stem cells are found in an embryo only up to five days after conception. Anything beyond embryonic stem cells are considered adult stem cells. MYTH: Stem cell therapy is dangerous. FACT: Multipotent (adult) stem cells can be specially treated to become pluripotent like embryonic stem cells. They are called induced pluripotent stem cells. There has not been enough research to ensure the safety of induced pluripotent stem cells. Some studies conducted on animals indicate that these cells are not stable after they replicate and live for only a short period of time – and they can mutate into fast-growing cancerous cells. They have not been used in humans. None of the stem cells used to treat humans have ever been shown to cause cancer. MYTH: Stem cell therapy is painful and requires general anesthesia. FACT: Adult mesenchymal stem cells (MSCs) are found in high concentrations in adipose (fat) tissue. Stem cell therapy for orthopedic injuries involves a simple procedure to harvest MSCs from abdominal fat with local (not general) anesthesia. The patient’s own stem cells are extracted, then isolated in a lab, then injected into the affected or painful area. There is little downtime following stem cell therapy and few potential side effects. MYTH: Stem cells can be rejected by the body. FACT: Stem cell treatments performed on adults for orthopedic applications use their own stem cells, so there is no chance of rejection. This kind of treatment is called “autologous,” meaning from the self. However, some types of blood-borne cancers may require a donation of stem cells from another individual if the patient’s own immune system is compromised. There are some compatibility considerations and potential health risks involved with receiving donor stem cells. Some of the experimental applications of stem cell therapy currently being explored include wound and burn treatment, eye diseases, and degenerative neurologic conditions. When used in conjunction with other treatments, stem cell therapy may help patients avoid surgery and provide lasting relief. Since 2007, patients in Palm Beach County have trusted Personalized Orthopedics of the Palm Beaches for their stem-cell therapy. Our highly trained and specialized physicians address every aspect of musculoskeletal injuries or conditions. Although we’re experts in the latest surgical procedures, our doctors always offer more conservative methods of treatment first. Stem cell therapy – which is low-risk and minimally invasive – can address injuries and degenerative conditions in the joints and tendons, as well as other orthopedic conditions. To find out whether stem cell therapy can help you, call Personalized Orthopedics of the Palm Beaches today at (561) 733-5888 or request an appointment online right now. Let us help you look and feel your best!